Today has been a joyous celebration of a hugely important part of British, and arguably World history. In a rather unplanned manner, three of us set off to the historic Dorset village of Tolpuddle. 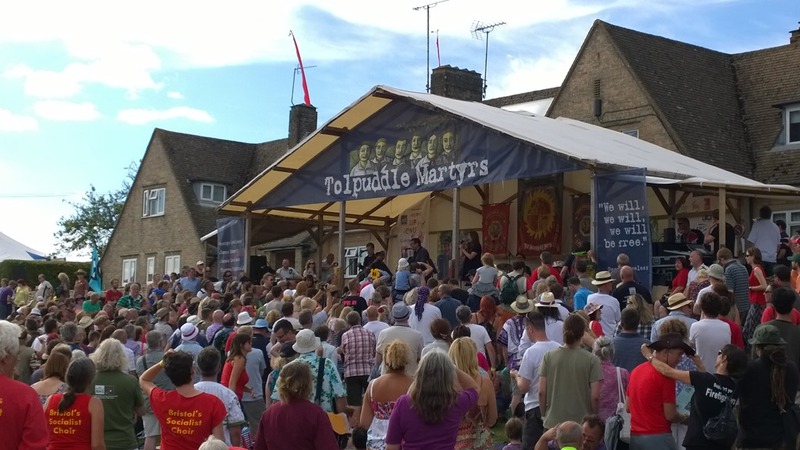 The Tolpuddle Martyrs were a group of 19th century Dorset agricultural labourers who were arrested for and convicted of swearing a secret oath as members of the Friendly Society of Agricultural Labourers. The rules of the society show it was clearly structured as a friendly society and operated as a trade-specific benefit society. But at the time, friendly societies had strong elements of what are now considered to be the predominant role of trade unions. The Tolpuddle Martyrs were subsequently sentenced to transportation to Australia. Before 1824/25 the Combination Acts had outlawed “combining” or organising to gain better working conditions. In 1824/25 these Acts were repealed, so trade unions were no longer illegal. 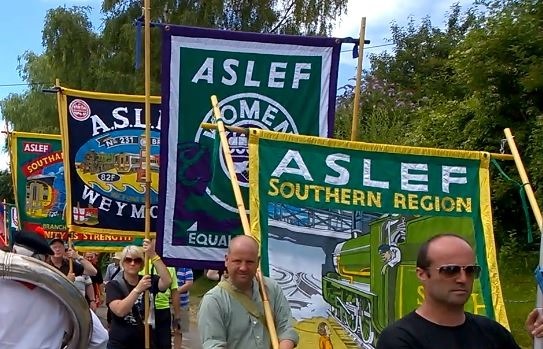 In 1832, the year of a Reform Act which extended the vote in England but did not grant universal suffrage, six men from Tolpuddle in Dorset founded the Friendly Society of Agricultural Labourers to protest against the gradual lowering of agricultural wages in the 1830s caused by the surplus supply of labour in an era when mechanisation was beginning to have an impact on agricultural working practices for the first time. This was a particular problem in remote parts of southern England, such as Dorset, where farmers did not have to compete with the higher wages paid to workers in London and in the northern towns experiencing the Industrial Revolution. They refused to work for less than 10 shillings a week, although by this time wages had been reduced to seven shillings a week and were due to be further reduced to six shillings. The society, led by George Loveless, a Methodist local preacher, met in the house of Thomas Standfield. In 1834 James Frampton, a local landowner, wrote to the Prime Minister, Lord Melbourne, to complain about the union, invoking an obscure law from 1797 prohibiting people from swearing oaths to each other, which the members of the Friendly Society had done. James Brine, James Hammett, George Loveless, George’s brother James Loveless, George’s brother in-law Thomas Standfield, and Thomas’s son John Standfield were arrested, tried before Judge Baron John Williams in R v Lovelass and Others. They were found guilty, and transported to Australia. They became popular heroes and 800,000 signatures were collected for their release. Their supporters organised a political march, one of the first successful marches in the UK, and all, except James Hammett (who had a previous criminal record for theft) were released in 1836, with the support of Lord John Russell, who had recently become Home Secretary. Four of the six returned to England, disembarking at Plymouth, a popular stopping point for transportation ships. Members of unions from all over the country, as well as a large number of non-members, converge on the village each year, to commemorate the anniversary of the historic events, listen to speeches, enjoy music, and generally have fun. The impromptu manner of the day only further added to the enjoyment of the day. The commemorative march was remarkable, walking in the footsteps of some very famous people. The highlight, for me however, was a performance by Paul Heaton and Jacqui Abbott, previously of the band Beautiful South with the band playing some of the classics, a great day out had by all.